Autodelta is pleased to announce that the MPH06 live motoring theatre will join the Autodelta European Tour 2006 as an official partner when the event gets underway this Friday (15th September). MPH06 – which showcases prestige and performance cars – will take place this year from 26th-29th at the National Exhibition Centre, Birmingham, and from 2nd-5th at Earls Court, London. 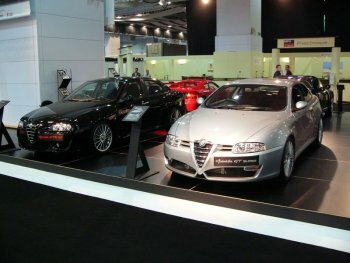 The Earls Court Exhibition Centre is located just a stone’s throw from Autodelta’s London headquarters and is regarded by the firm – Europe’s leading aftermarket Alfa Romeo tuner - as being their ‘home’ motor show. 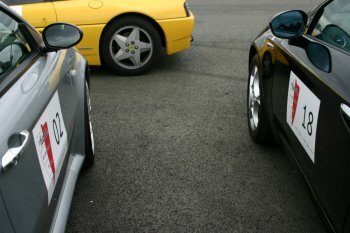 The philosophy behind MPH is simple: the organisers bring together a collection of the world's most desirable cars, display them beautifully and bring them to life in a unique theatre hosted by the world-renowned TV presenter Jeremy Clarkson, together with Richard Hammond and James May. Now an established major event in the UK motoring calendar, MPH takes place in two venues, London's Earls Court and Birmingham's NEC. “We’re very pleased that the MPH06 will be officially joining the Autodelta European Tour 2006 as a full partner,” says Autodelta’s Jano Djelalian. “Since its inception in 2003 the MPH06 has become something of a ‘home’ motor show for us, and each year we have been delighted to use the occasion of this glamorous event to present our products in front of our customers and a wider London audience, in prestigious surroundings. MPH already has a strong legacy for Autodelta. The two-decade old aftermarket Alfa Romeo design and tuning house presented their first exclusive bespoke model – the Autodelta 147 GTA AM 3.7 – during the first edition of the show, MPH03, held at Earls Court back in November 2003. Autodelta is pleased to announce that the MPH06 live motoring theatre will join the Autodelta European Tour 2006 as an official partner when the event gets underway this Friday. MPH already has a strong legacy for Autodelta: In 2004 they presented two models (above) for their world premières at MPH04 – the Autodelta 156 GTA AM 3.7 and the Autodelta GT Super. The next year Autodelta presented two models for their world premières at MPH04 – the Autodelta 156 GTA AM 3.7 and the Autodelta GT Super – while at last year’s edition, MPH05, the Autodelta GT Super Evo, which featured a performance step over the previous model which made its world debut at the London show. This year Autodelta will present their latest bespoke model - which is set to be unveiled at Casino Square in Monte Carlo later this month at the culmination of the Autodelta European Tour 2006 – at MPH06 in public and in front of a motor show audience for the first time.